Many of us want to adopt a more healthy lifestyle or have been advised to follow specific diet plans – we teach you how to create repeatable meals as delicious as they are good for you. Kitchen Maverick Jan Cron has spent a lifetime learning the best cooking techniques and perfecting flavours, if 70% of being healthy is what you eat and 30% exercise then we need to concentrate on getting the best balance of tasty food into our bodies. He's researched relevant, irrelevant and utterly absurd diets, so you don’t have to. Jan will be hosting a series of life changing- Fit Food Classes at Food Sorcery. Choose a class to suit you 90 mins or 3 hours - Cook, Eat, Takeaway. A day learning to cook Fit, healthy, repeatable meals with a focus on taste. 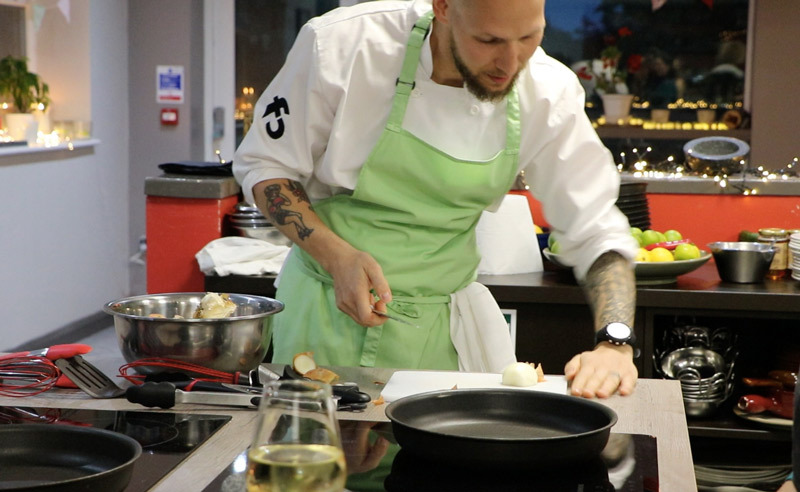 Dishes will incorporate a variety of Asian flavours, fish, chicken and vegetarian – all classes can be adapted to suit allergies and dietary requirements. 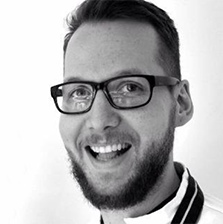 Kitchen Maverick Jan spends his time researching different diets – the pros the cons and then more importantly how to make it taste great while obeying the rules! If there is a specific diet you are interested in, please let us know. Tips and tricks to make delicious Healthy Asian inspired dishes at home. In recent years, discoveries from leading scientific researchers have found that the state of our gut bacteria is not only the key to weight loss but also could lead to better mood, immunity and skin. During the class, we will delve into the world of fermentation, and you will learn how to get started with fermenting at home. You’ll drink Kombucha and Keffir on arrival and understand how it’s made at home and the best places to buy ready made versions, both drinks are packed with probiotics, fundamental in helping to balance the gut microbiome. You will then made kimchi and sauerkraut which you’ll take home in jars provided. Both are famous side dishes which can be eaten with any meal and are traditionally made by fermenting cabbage but many other vegetables can be used. 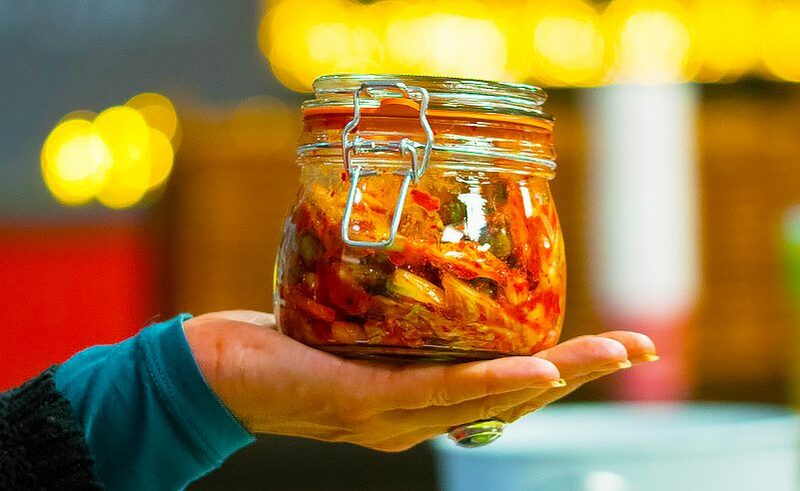 Korean kimchi is hot and spicy whilst sauerkraut has a distinctive sour flavour – the result of lactic acid formed when the bacteria ferment the sugars in the cabbage leaves. Our Fit Food classes are run by Jan who spends his time researching diffferent diets – the pros the cons and then more importantly how to make it taste great while obeying the rules! If there is a specific diet you are interested in, please let us know. Each class will have a different dish, so you can come back for more! If you would like to book a series of classes, let us know. Tips and tricks to make delicious fermented food. Probiotic drink on arrival and a jar each of quick kimchi and sauerkraut to take home.